"I don't remember if I liked dancing because I was good at it, or if I was good at it because I liked it. Vera-Ellen was born Vera Ellen Westmeier Rohe on February 16, 1921 in Norwood, Ohio. She began dancing when she was a child and made her Broadway debut at the age of eighteen. In 1941 she married dancer Robert Hightower. Although she was only five feet four inches she became one of the dancing Rockettes at Radio City Musical Hall. Producer Samuel Goldwyn saw her and gave her a leading role in the 1945 musical Wonder Man. The following year she divorced her husband. 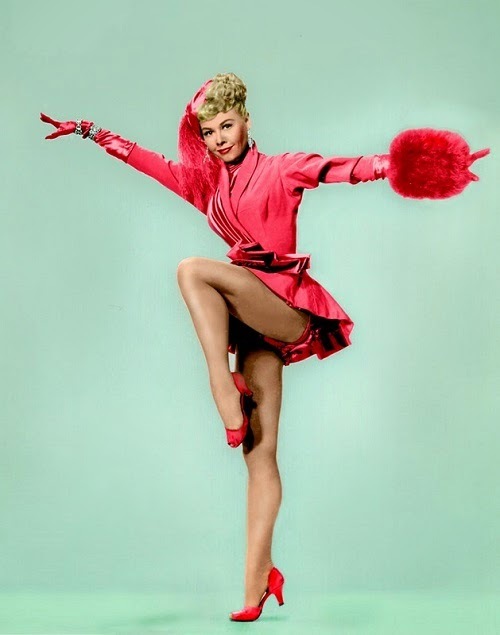 Vera-Ellen's career quickly took off and she appeared in several Technicolor musicals. 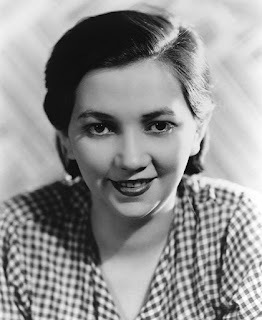 She costarred with Gene Kelly in On The Town and with Fred Astaire Three Little Worlds. Privately she was suffering from anorexia and was becoming increasingly thin. There were even rumors that her neck had to be covered during filming because she looked so frail. She married millionaire Victor Rothschild in 1954. That same year she starred in White Christmas which would become her biggest success. By the late 1950s her career had slowed down and she appeared in variety shows like The Colgate Comedy Hour. Her last film was the 1957 musical Let's Be Happy. She gave birth to a daughter Victoria Ellen in 1963. Tragically the baby died from SIDS when she was just three months old. Vera-Ellen became very depressed and her marriage soon ended. As she grew older she suffered from severe arthritis and was no longer able to dance. She became reclusive and rarely left her home. In a rare 1977 interview she said " I'm retired. I stopped when I was ahead. I don't need my work anymore, and I don't need the applause.". At the age of sixty she diagnosed with cancer. She died from the disease on August 30, 1981. Vera-Ellen is buried with her infant daughter at Glen Haven Memorial Park in Los Angeles, California.